At the beginning of the month, SF Yoga Mag pulled the Magus Tarot card, which represents New Beginnings. Additionally, a few days into February on the 4th (just two days ago), we celebrated the New Moon in Aquarius, which also points to New Beginnings. So it made perfect sense to highlight Moonstone this month - a stone of New Beginnings. 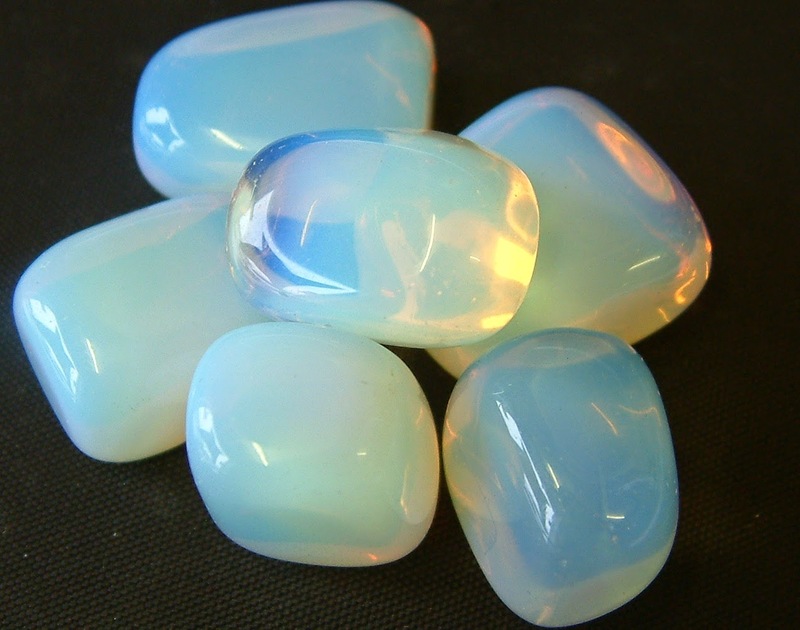 The vibration of Moonstone can help you restructure your life from the ground up. It is a great stone to meditate with - especially during New Moons, as it channels energy from the moon, according to some crystal healing experts. Moonstone is also a good stone for grounding. Sit in a comfortable seat with a small Moonstone in the palm of either hand. Set an intention around what New Beginnings you would like to invite into your life. Softly close your hand around the crystal and begin to take a few long, deep breaths. As you breathe in, invite the energy of the moon in through your Crown Chakra and in your mind's eye see it illuminating your entire body, from the crown of your head to the tips of your toes. As you exhale, breath out any thoughts of obstacles that may be blocking you from your New Beginning. Continue this practice for at least two minutes and enjoy for up to 10 minutes. This practice is wonderful to do during the New Moon and you can repeat as often as you’d like for two weeks after, leading up to the Full Moon. At the end of your practice, thank your Moonstone for supporting you and continue on with your morning, afternoon or evening with gratitude in your heart. Namaste!